Near Field Communication (NFC) technology has become increasingly important for ubiquitous computing. 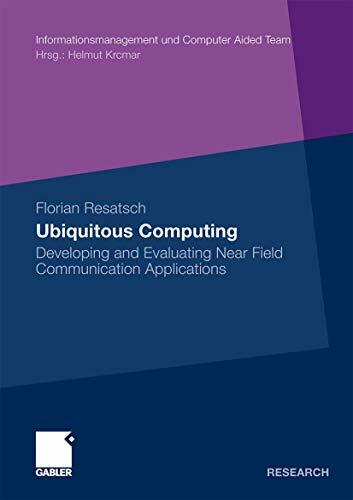 Florian Resatsch investigates the optimal strategies for developing and evaluating ubiquitous computing applications based on NFC. He draws on a variety of current theories on ubiquitous computing, human-computer interaction, and technology acceptance to propose an iterative process model (UCAN) for the integrated development and evaluation of NFC applications. Finally, the author offers a range of design guidelines for NFC applications in four categories: NFC technology, tag infrastructure, devices, and human factors.